The Missouri House is seeking change the Title IX process at colleges and universities like the University of Missouri-Columbia. Among other things, Dohrman’s bill would allow a student accused of sexual harassment or assault to appeal their case to the state Administrative Hearing Commission. It would also allow an accused student to sue a college or university if they are intentionally denied due-process rights. House Judiciary Committee Chairman David Gregory made a host of changes to Dohrman’s bill, including no longer making a college or university employee who handles Title IX matters subject to lawsuits. It would also prevent a person who accuses someone of sexual harassment or assault from being sued by the accused. 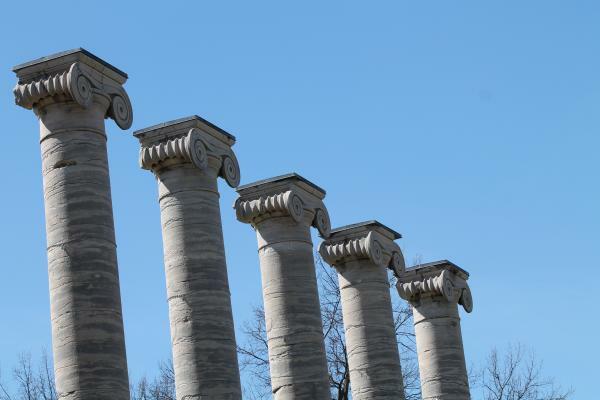 “There’s some big concerns from the institutions and the schools that it’s going to be very difficult and very expensive to hire employees that would be personally liable if they make a mistake,” said Gregory, R-St. Louis County. Dohrman said he was pleased with the revisions. Scores of public and private higher-education institutions had come out against Dohrman’s legislation, contending it was prudent to wait for the federal government to make changes to the Title IX program. Paul Wagner, the executive director of the Council on Public Higher Education, said he was heartened by changes made to the original bill in the House Judiciary Committee. Dohrman’s bill comes amid an all-out lobbying blitz to alter Title IX. A nonprofit group known as Kingdom Principles hired 23 lobbyists recently to push the bill. Several news outlets reported that World Wide Technology founder David Steward is providing funding to Kingdom Principles. Sending Title IX cases to the Administrative Hearing Commission has drawn scrutiny, as Commissioner Audrey McIntosh is married to one of the founders of Kingdom Principles — veteran lobbyist Richard McIntosh. Even after more than two dozen changes to the legislation, Rep. Mark Ellebracht, D-Clay County, questioned whether the Legislature could regulate the internal decision-making of a private institution such as Washington University. Dohrman’s bill can now head to the House floor. Sen. Gary Romine is handling similar legislation in the Senate.